Employees expect to be fairly paid for the time they have worked, which is why laws related to wages and overtime are so important. 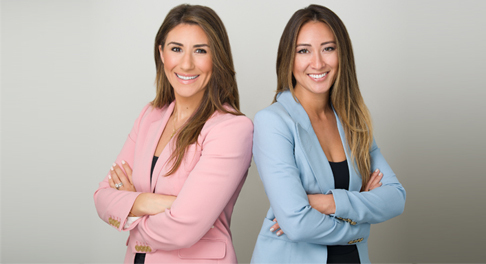 If you believe you are not being paid for the work you have done, it’s imperative that you understand your legal rights and how to recover the compensation you deserve. The Federal Labor Standards Act (FLSA) governs the laws related to wage and overtime pay. Because this is a federal law, the Wage and Hour Division is responsible for enforcing violations of wage and overtime pay. This is a segment of the Department of Labor, which handles all other labor law issues and disputes. The FLSA sets a minimum wage that all employers must abide by. States may set their own minimum wage laws, but they cannot go lower than the minimum wage put in place by the FLSA. Employees who receive tips as payment do not have to be paid the federal minimum wage. Right now, the federal law states any employee who makes at least $30 a month in tips is only entitled to receive a minimum wage of $2.13 per hour. But again, states have the right to enact their own laws related to minimum wage for workers who receive tips. Overtime must never equal less than one and a half times the employee’s regular pay. For example, if an employee is paid $20 an hour, she should be paid at least $30 an hour in overtime pay. Overtime pay should be given to employees when they exceed forty working hours in one week. However, not every employee qualifies to receive overtime pay, regardless of how many hours they work. Salaried employees are usually not entitled to overtime pay. This means salaried workers can exceed forty working hours every week without receiving any additional pay beyond their standard salary. Hourly workers are generally guaranteed overtime pay, unless they work in an industry that is exempt from paying overtime. To see if your industry is exempt from paying overtime, reference the FLSA. When an employer refuses to pay you the money you have earned through working regular or overtime hours, it is up to you to file a complaint to recover the compensation you deserve. Wage and overtime complaints are handled by the Department of Labor’s Wage and Hour Division. If you’re unsure of how to get started or what forms you will need to fill out, visit one of the many Wage and Hour Division offices located across the country. You will be asked to provide additional documentation with your complaint, including paystubs or any record you may have of the hours you’ve worked. After your claim has been filed, the Wage and Hour Division will launch an investigation to determine if you are entitled to any compensation from your employer. Employees also have the option to file a lawsuit against their employer to recover any compensation they are owed. If the court finds your employer in violation of the law, your employer may be forced to pay you up to two years in back pay or three years if the judge finds the violation was willful. If you are employed, you are entitled to receive the wages you have earned in a timely manner from your employer. But, if you are dealing with wage and overtime issues at your place of work, it’s best to speak with an employment law attorney to discuss your legal options. 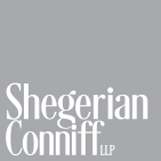 Contact Shegerian Conniff to schedule your free legal consultation today.